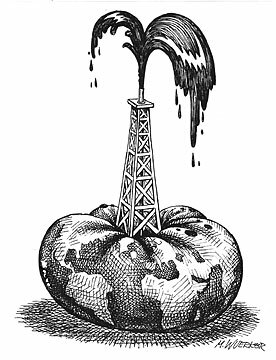 As the population of mankind has expanded we have begun to consume more and more oil. Our appetite for oil seems to know no limits or boundaries, in fact since 1859, we have consumed 1 trillion barrels of oil. At our current rate we will consume 60 trillion barrels of oil over the next 20 years, a level that is almost incomprehensible. To offset our consumption we rely on the discoveries of oil fields that are so huge, they are described as GIANT oil fields. These fields, however, are rare and new discoveries have declined dramatically since the 1960s. We rely on these fields for their large reserves. The last big oil field discovered, Jack, was found in 2006. Before Jack, another one was found in 2003 off the coast of Brazil, a country so frightened by oil dependency it has switched the entire nation to an ethanol backed economy. The giant deepwater field named Tupi has been found since, and whether the technical challenges in producing such a field can be met remains to be seen. The world needs many more giants just to replace the oil we�ve already consumed. The fact remains that we use up much more oil each day then we are possible ever going to replace. We aren't even coming close.